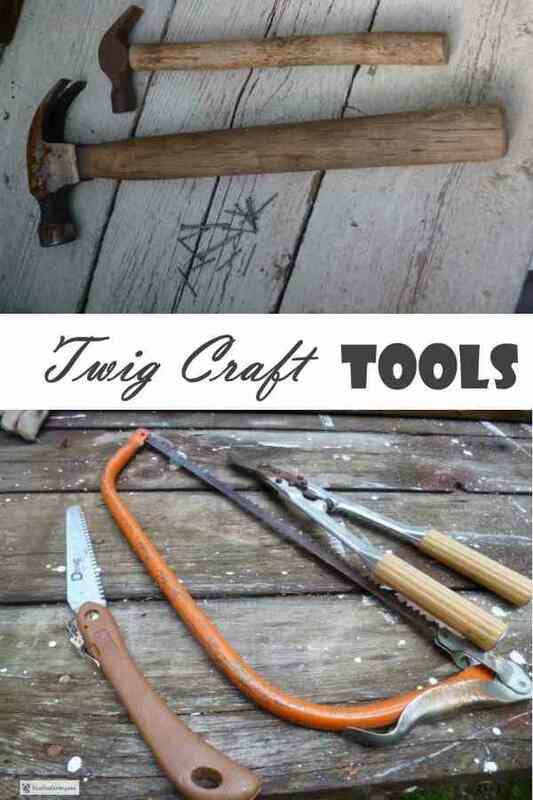 Luckily for us, the twig craft tools you’ll need to build most of the twig crafts on this site are already in almost every tool box. Tape measure - in metric or inches, whichever you’re most comfortable with. I use metric measurements on the site, so you’ll need to know how to convert the most common measurements. Drill – cordless drills with rechargeable batteries are fairly cheap, and easy to use. If possible, have two available – one with a drill bit to drill pilot holes, and the other to screw the drywall screws in. That way, you’re not constantly fiddling with it to change from drill bit to screw bit. Drill bits in various sizes to fit the above item. 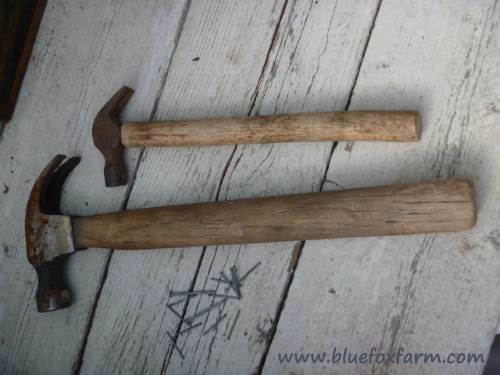 Hammer – I use several hammers of different sizes depending on what I’m making. Carpenters saw, electric jig saw, pruning saw – any of these will work well for the cutting of twigs and barnboards. Pruners – sidepass Felco pruners with sharp blades – learn how to sharpen and clean them for best results. Dull blades tear the tender bark of twigs. Use these for cleaning off the small side branches or the ends of branches. Never twist the pruners when cutting, especially if you’re trying to cut a twig that’s too big as you’ll break the blade or worse, break the bolt holding the two blades together. Not to worry though, most of the parts for all Felco pruners are available to purchase separately at Lee Valley and other mail order suppliers. Loppers – sidepass Felco #17 loppers, for all the same reasons as the pruners. Spend a little more on these as they’ll be with you a long time. Indispensable for taking on twig collecting expeditions, these are multi purpose and small enough to get right into a thick clump, while still possessing enough heft for some of the heavier twigs. Rasp – I use one that has four different faces in two weights so you have many options. Sandpaper – several grits for different uses. Wire – I like tie wire that is used for concrete work and tying re-bar. It’s flexible, dark coloured and will rust nicely to the same shade as twigs, becoming almost invisible. You can use other wire such as copper for those really special crafts if it’s available. 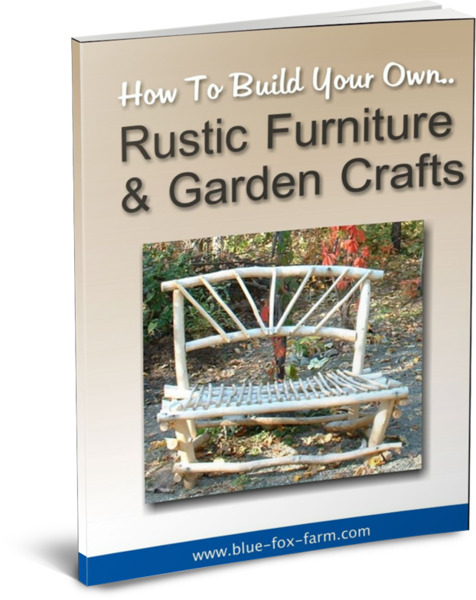 These basic tools for building your crafts can be added to as needed. I like to keep a carpenters level and mitre box in my tool box as sometimes they are needed too, as well as a selection of Ardox twist nails and drywall screws in various lengths and thicknesses. Don’t miss the important information on the page about Twig Craft Techniques.